The concept of IIFYM is not difficult and to be honest it's really nothing new despite the fact that there wasn't really a name for it until only a few years ago. The term flexible dieting and acronym IIFYM popped up kind of organically in a bodybuilding forum as an easy response to questions about what foods to eat or not eat, and it really stuck. To some people IIFYM has become a style of dieting all on it's own, and is just as popular as "eating clean", and the "old traditional" brown rice, fish/chicken and broccoli. I know you're asking "if it's nothing new then what is it?" If you are not familiar with what "marcos" stands for then you are going to need a little background info. I will not dive deep into this, but I will give you a little info to keep you in the loop of the article. Macros stands for macronutrients, and macronutrients are Fats, Proteins, Carbohydrates (and Fiber) aka the stuff you see on a nutrition label. Every item of food that contains calories is made of these macronutrients. The amount of each macronutrient in a food item varies, and depends on the kind of food, but every calorie containing food has them. The first step in IIFYM is to figure out how many calories you need to be eating(or not eating) in order to reach your goal. This is nothing new, and probably something you have heard of or came across before. We all know you can not eat an unlimited amount of calories and not gain fat, and on the other side of the coin you can not expect to build big or strong muscles while not eating any food whatsoever. You need to find your very own sweet spot of calories. We will use a nice round number of 2000 calories for this article because I am bad with numbers(doesn't mean anything). Until this point everything is the same as all the old or traditional diets you have heard of in the past, Eat a certain amount of food. The next step is where we start to go down the rabbit hole a bit so, hold on tight. Within this 2000 calories you will be eating different amounts proteins, fats, carbs(and fiber). Half of the calories might come from carbs (50% or 1000 Calories), and then the other 50% is from proteins and fats (let's say 20% 400 cal. Fat and 30% 600 cal. Protein). This is still nothing new if you were following an older style of eating like the chicken, broccoli and brown rice. While the numbers are very specific in both percentage and calorie amount in the past this was typically called portioning your food; we just always werent soo specific. So, instead of stating a percentage of your macronutrients all we were doing was controlling our portion sizes on a plate for each food item throughout each meal of the day. So, if you prepped and planned your meals for the week you would portion out the items you wanted to eat and this is exactly what you would do for for IIFYM and flexible dieting. IIFYM is a nondiscriminatory style of eating. You can really choose any "style of eating" with IIFYM because what makes it special is the fact that it doesn't tell you to do anything restrictive. IIFYM literally stands for "If It Fits Your Macros". So, if you are eating food, and said food contains calories it doesn't matter which style of eating you have preference to. You can be a raw vegan, vegetarian,"meat-atarian",Paleo, Atkins, non-GMO, gluten free, or whatever your little hear desires as long as you stick to the core principles of eating the correct calories for your goal and within certain macro nutrient ratios. 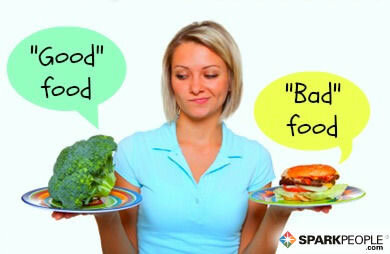 From the beginning of time we have been told that there are good foods and bad foods to eat. Then on top of all that there are great foods and horrible foods to eat when you have a fitness goal. SO, MANY RULES!!! It can be extremely overwhelming if you're a normal person trying to figure out all this madness, and how to apply it to your new healthy lifestyle. The worst part is the general health & fitness industries plus garbage TV shows (like Dr. OZ) can have you endlessly spinning in a revolving door of what good and bad foods are. Once you get thrown from the force of this door spinning you out of control you are left feeling dizzy, confused, sick, frustrated and still have zero idea of the "rules" you need to follow. If there are a lot of rules to follow that means there are A LOT of changes you need to make, and a lot of restrictions that might not fit with current aspects of your life that are not flexible. If the diet style you choose is not flexible how do you expect it to fit into a world that is ever changing. If you choose to follow IIFYM (REGARDLESS OF YOUR FOOD PREFERENCE) you're opening the door to maintaining all of your sanity because you are not restricted from eating all of your favorite foods. Believe it or not one of the most popular reasons for people to "fall off the wagon" of their chosen strict diet style is because they succumb to cravings and hit the limit of their will power(yes, will power has a limit). Through no faults of its own the IIFYM acronym has turned this industry on it's own head which used to literally scour at the sign of anything less than that boring, and almost impossible old school meal plan diet. IIFYM has done this by removing a lot of the stigma surrounding what are typically known as "bad foods" or at least bad foods for your fitness goals. There are no longer bad foods, cheat foods, cheat meals or even guilt foods that you should feel angry and bad about yourself for eating. There is just food, and food you need to eat in order to reach your goal. You should not have to go through traumatic emotional turmoil when you choose to eat 5%-10% of your daily calories while celebrating with a piece of cake from the office party this afternoon. 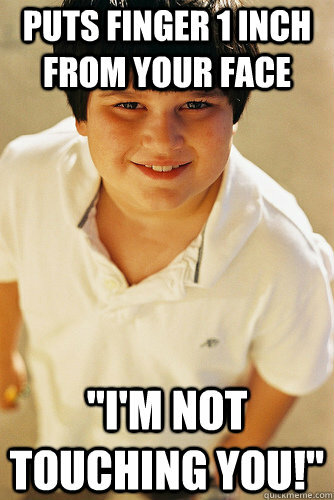 You had one small piece, not the entire bakery selection at your local grocers. You are not restricted from eating all of your favorite foods and no longer have to struggle to keep your cravings from "hulking out". It's not the foods fault. The foods that used to be saved for things like "cheat meals" can now be consistent staples in your overall diet without all of that guilt and negative thought about having even eaten a small amount. Things like Ice cream, Poptarts, cake, cookies, pastries, chocolates, breakfast cereals, cheesy burgers, nutella pancakes, waffles, cream cheese stuffed french toast and anything else your little heart desires can be planned into your calories and your macros to help suppress the emotional response or tied you have to certain foods. The food will lose it's "bad" label in your head and may even lose it's level of importance to you over time due to the fact that you are allowing yourself to have small amounts with planned frequency. One of the biggest myths surrounding this style of eating is that you do not need to pay attention to food quality and nutrient density of of the food you eat. This comes from the glorified images that make up the galleries of #iifym and #flexibledieting on all those social media sites. People(myself included) will pridefully post images of food they enjoy eating, and were able to fit into their their calories and macros almost as a F.U. to the strict diet that didn't work. The truth is you still need to make quality choices for the 80%-90% of food that will make up your meals. The flexible diet and IIFYM only increases the selection of food you have to choose from, it does not mean you can just eat candy, cakes, and protein shakes as long as it fits within the 2 major rules. Everything you see from those mouth-watering hashtagged pictures was planned into a their meals, and only makes up a fraction of their total calories consumed for the day, or week. Here is How to Start your Own IIFYM & Flexible Diet Plan. Step 3: Calculate your Macronutrient Ratios based on your food preferences. Step 4: Buy quality foods at the grocery store in the amount you would need to eat for a week based off the calories and macros. Step 4.5: make sure you buy food you like and not food you think you need to eat because some jackass tv doctor called it a super food. Step 5: Do some meal prep for 80% of the food you need to eat for the week. Step 6: Leave the last 20% available for foods that are on your list of favorite meals and the for the unexpected times when you are in a bind and need to eat something off your plan. Step 7: Evaluate your progress, state of mind, level of sanity and cravings. Step 8: Alter your meals to reduce cravings and improve sanity without changing your calories or macros consumed. Step 10: Take a step back and re-evaluate your journey and don't be afraid of making changes if you are not seeing desired results. Previous StoryFind The Niche Population That’s Been Hiding In your Gym All Along.